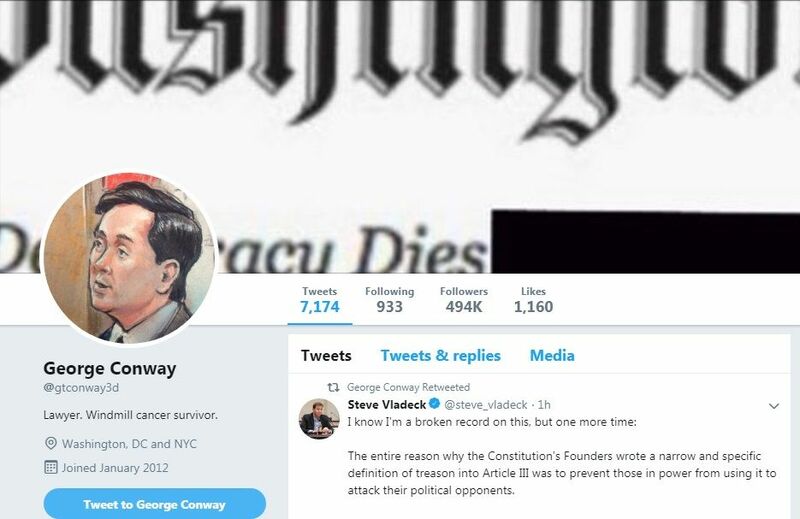 George Conway, husband to senior Trump advisor Kellyanne Conway, has made a name for himself in recent years as a vocal critic of the president even as his wife serves in a high-profile position within the administration, Newsweek reports. His most recent jab followed remarks made by Trump at a National Republican Congressional Committee fundraiser in Washington, D.C., where the president made a number of odd and unsubstantiated critiques of wind power as an alternative energy source, as The Inquisitr covered. The joke was mildly reminiscent of when Apple CEO Tim Cook changed his own Twitter bio to Tim Apple after a minor Trump gaffe in which Trump referred to Cook as such in a meeting at the White House. Trump’s comments about windmills causing cancer has caught attention recently, but it is by no means the first time he has publicly criticized the concept of wind power. In 2012, Trump tweeted, long before becoming president, that wind turbines are “an environmental & aesthetic disaster,” asking how many bald eagles they had killed that day. In 2014, Trump said, “wind farms are a disaster for Scotland, like Pan Am 103,” referring to a passenger flight that was bombed in a terrorist attack in 1988, which brought the plane down in Scotland. More recently, in 2018, Trump again brought up his concern for birdlife, saying at a rally that underneath windmills is like a killing field for birds. The statement referring to Scotland was part of an ongoing battle between Trump and Scotland’s First Minister while Scotland was planning an offshore wind farm near Trump’s Aberdeenshire golf course. Trump believed that the project would create an eyesore that would hurt the value of his property there. In any case, long before the most recent controversy, Trump was no fan of windmills and indeed no friend of George Conway.